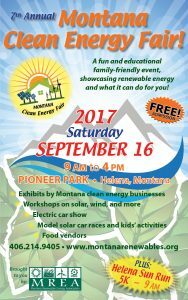 The Montana Renewable Energy Association’s 7th annual Clean Energy Fair will be held on Saturday, September 16 in Helena. 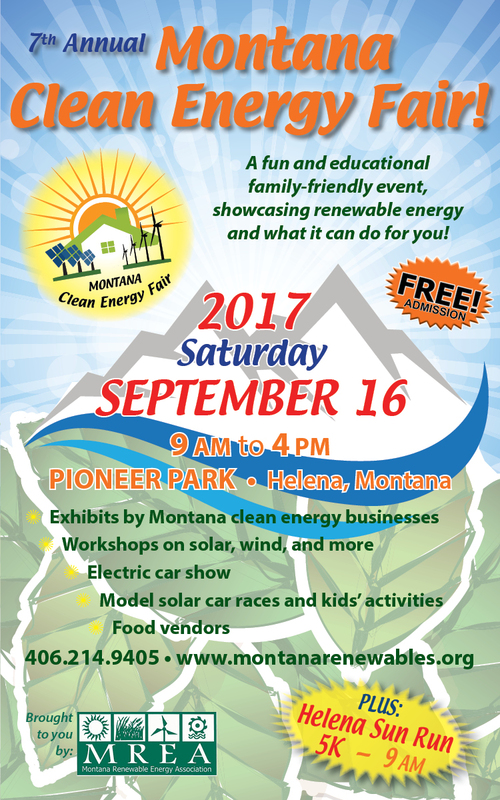 The fair will take place from 9-4 at Pioneer Park, and will feature an all-day schedule of free workshops on topics including solar electricity, solar water heating, energy efficiency, electric vehicles, and more. There will also be an electric car show, food vendors, raffle prizes, and kids activities including model solar car races. Registration is now open for exhibitors, food vendors, sponsors, and electric car dealers! Christopher Borton of Sage Mountain Center is the coordinator of this community event.